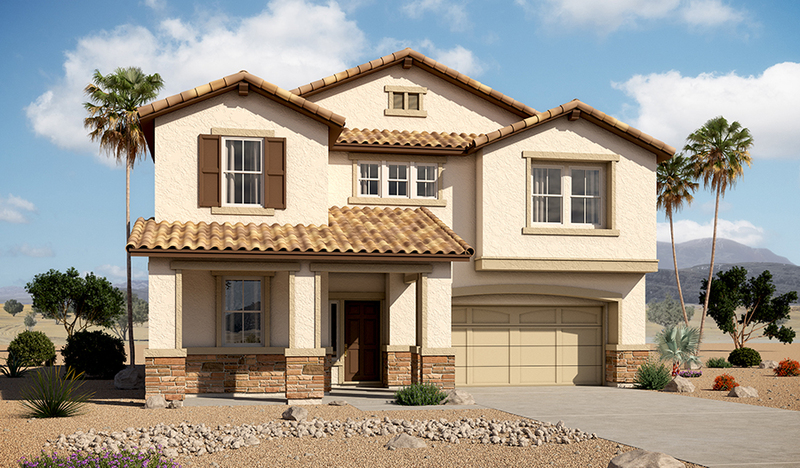 Explore the exciting Sage plan in this beautiful model home! Imagine yourself entertaining in the spacious great room or dining area—both open to the gourmet kitchen with large center island, maple cabinets and a walk-in pantry—or move the party onto the covered patio with tile flooring and multi-slide doors. Don't worry about disturbing anyone in the guest suite; it's separated from the other main-floor spaces for privacy. Upstairs you'll find comfortable bedrooms, a master suite with deluxe bath and walk-in closet with built-in organizer, a teen room and a convenient laundry with sink and cabinets.